For an interiors geek like me, today is one of those very exciting launch days! 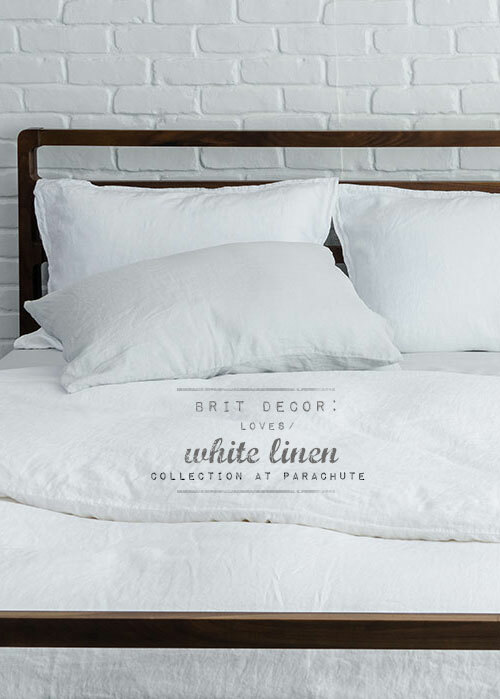 One of my favourite Cali-based home ware brands, Parachute - renowned for luxury Egyptian cotton bedding, is today launching its new White Linen range. I am always drawn to the quintessentially cool and calming simplicity of linen, especially during the Summer months, with its relaxed look and breathable composition. 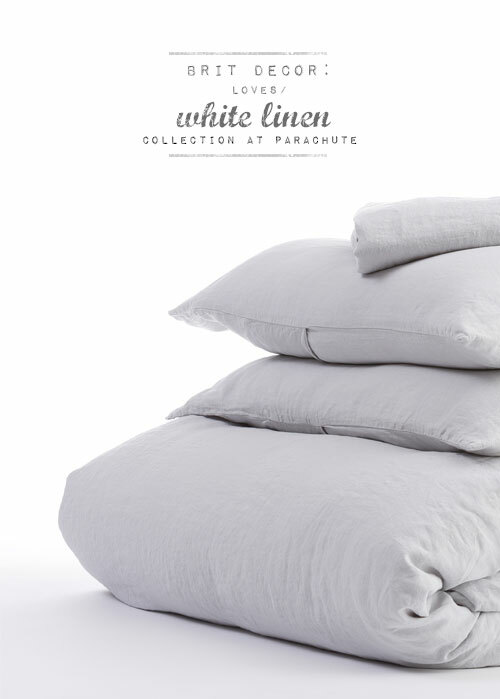 This brand new collection from Parachute, is available in two colours - White and Fog, with the latter being a pale grey which makes for a great colour combo with the crisp white. Texture is also really important too and each of these products have been carefully garment dyed and washed for that additional relaxed feel. There's also a cool ethical element to this brand too in partnership with Nothing But Nets. For every one of their 'Venice' bed-sets sold, Parachute will provide one life-saving bed net. 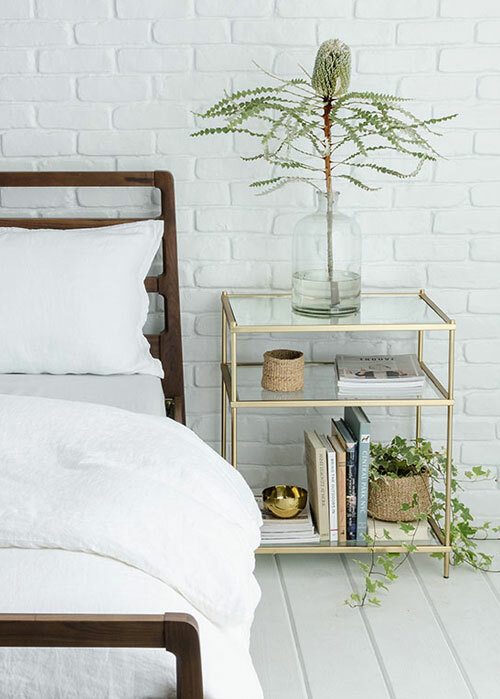 Love beautiful crisp white sheets in the summer, I wouldn't normally choose linen but these do look good, they make it quite a relaxed effortless look, great against the hard edged brick wall and brass bed side table.